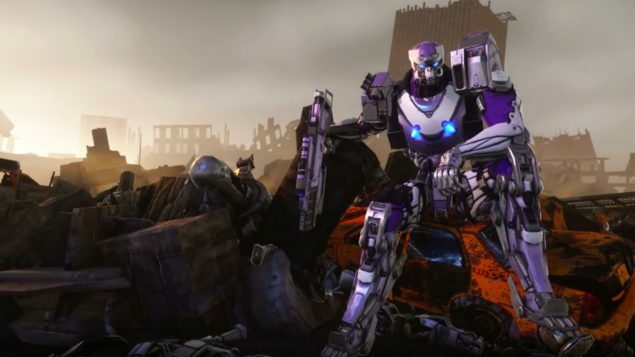 During the final hours of E3 2016, I sat down with the development teams behind three of upcoming Perfect World Entertainment titles to gain a brief insight into their coming Fall lineup. Neverwinter on PlayStation 4, Star Trek Online for Xbox One, and LiveLock on PC are three new titles (two new to their respective platforms at least) that PWI hopes to get into players’ hands sooner rather than later. The first title that was shown off was a PlayStation 4 port of Neverwinter, running on a devkit at just under 30FPS that is being worked on to bump up to that target render of 30FPS prior to launch. I played the role of a level 60-something wizard that specialized in control-based spells. With a full palette of skills, there was no shortage of spells to cast from afar. As someone that’s no stranger to playing Final Fantasy XIV on the Playstation 4, the palette system they designed gave me quick access to the skills through the use of holding down L2 or R2 and one of the eight face/directional buttons. I lamented the lack of being able to add in additional palettes through pulling both triggers in simultaneously, something I grew accustomed to in XIV because of the sheer number of skills to juggle in the heat of battle. 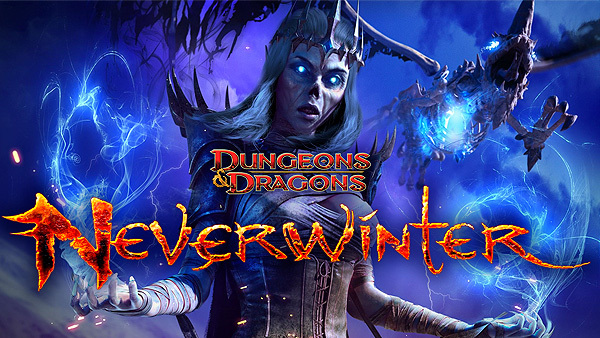 Neverwinter, a wholly free experience on the PlayStation 4, should be available to gamers later this year. Trophy hunters can also look forward to earning a platinum trophy with enough play time and effort. 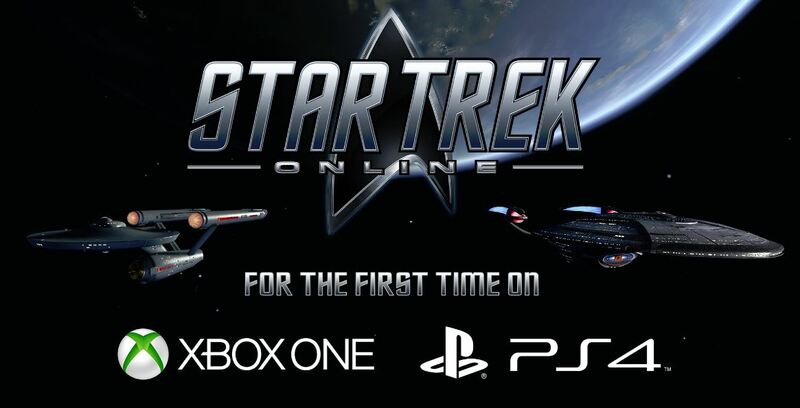 Star Trek Online was second on my docket for our appointment with Perfect World Entertainment and my first time touching the title in nearly five years. After a brief rundown of the graphical enhancements (including the brand new HDR lighting), an Xbox One controller was put in my hands and I was sent straight off into ship combat with my cruiser. Almost right off the bat, I could see the work they’ve done compressing the original PC title’s arrangement of commands and buttons into an easy to read on-screen interface that combines the buttons in ways that make sense. Pulling in one trigger and flicking the stick adjusts speed while clicking in that same stick helps rebalance shields evenly after taking enemy fire. The whole robust assortment of tactical abilities was condensed down into ability tiers that appeared on a radial menu with the other trigger. Need to quickly boost your shields back up to capacity? Just slide on over into that tier of abilities and toggle it on. How about if you’re in the middle of combat and forget about it? Subroutines can be assigned to the skill to activate at a certain time such as below a set percentage of health. The second segment of my hands-on focused on the action down on the planet. After selecting two crew members to accompany me on my planetary exploration, I was beamed down onto a planet with the mission of rescuing a group of researchers. Moving and shooting felt similar to another console MMORPG, Defiance although with more emphasis on the roleplaying than shooting. Once engaged in combat, phaser blasts and other attacks would go off automatically which meant one last thing to micromanage alongside skills that all operated on their own cooldowns. Livelock is an upcoming twin-stick shooter to be released for the Playstation 4, Xbox One, and PC, and the first non free-to-play title in their lineup. In the build I was given, I was offered a PS4 DualShock 4 controller and set into the role of the speedier Hex. PlayStation controllers have always been my own preference for these types of games, as having the two sticks be parallel for movement and aiming just feels more natural from a personal standpoint. While the mission I was thrown into was a bit too easy, the developers promised higher difficulties to each mission with unique variations on the enemies including those with more and varied modifiers to their fighting prowess. If you’ve ever played Diablo, you’ll know how troublesome it can be to fight against something with enhanced shields or teleports around at random. My first impressions of Livelock felt similar to that of Housemarque’s recently released Alienation, with the camera pulled in closer to the action. As the speedier of the three classes, the mobility options I was given helped to speed around the battlefield and through enemy waves. Each class is given three weapon slots: a primary, secondary, and special weapon. Thankfully the primary weapon never runs out of ammo, a personal peeve I have from these twin-stick games that entice the player into blowing their whole load in a single encounter. There was a brief reloading period associated with each weapon preventing me from just falling back into a corner and unloading indefinitely. Of the two remaining weapons in my arsenal consisted of a long-range rifle that could be charged up to unleash a single piercing round that felt satisfying when it was lined up just right and could cut through a group of poorly positioned enemies, and a grenade launcher that fired across a parabolic arc to sail over cover or enemies with directional shields. The development team promised that there would be new weapons to be unlocked per class, giving the character the sole form of persistent progression between missions. Perfect World Entertainment has an interesting lineup in the works for those looking to play new experiences, both for players who prefer going solo and those who want to engage in multiplayer role-playing adventures. Neverwinter and Star Trek Online are Free-to-Play (though you’ll still need to have an active Xbox Live Gold subscription on Xbox One, as usual), while Livelock will be Buy-to-Play.